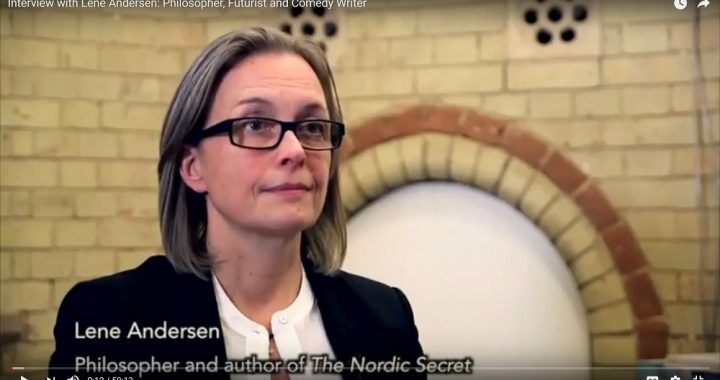 Besides the public event at Perspectiva, Jonathan Rowson interviewed Lene Andersen about her writing and philosophy prior to The Nordic Secret, the paradigm shift that we are in as a civilization–and much more. 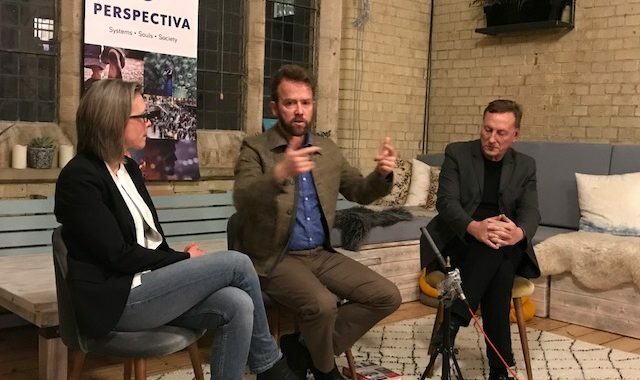 The room was full and people were on a waiting list when Jonathan Rowson from Perspectiva interviewed Lene and Tomas about The Nordic Secret. As the picture indicates, the first part of the evening was rather conventional. But then the creative Perspectiva people, not least Pippa Evans, turned the event into a game of Simon Says. We all had to work ourselves through the phases of indigenous culture, pre-modern, modern, and post-modern culture in order to eventually land in metamodernity–when Simon said so. We were all so occupied by this exercise touching our heads and standing on one foot that we forgot taking pictures. Sorry.